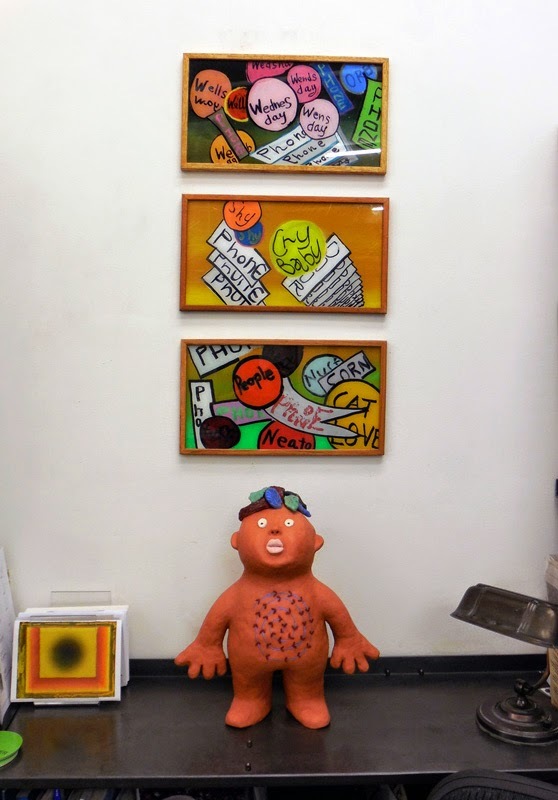 Contributed by Art Fair Correspondent Jonathan Stevenson / Taking shelter from the sensory fusillade of the copious Frieze, NADA, and Pulse fairs, I spent an edifying portion of Saturday afternoon on Bleecker Street at the Salon Zürcher mini-fair. It featured a very manageable seven galleries, which offered smartly selected work dominated by painting. 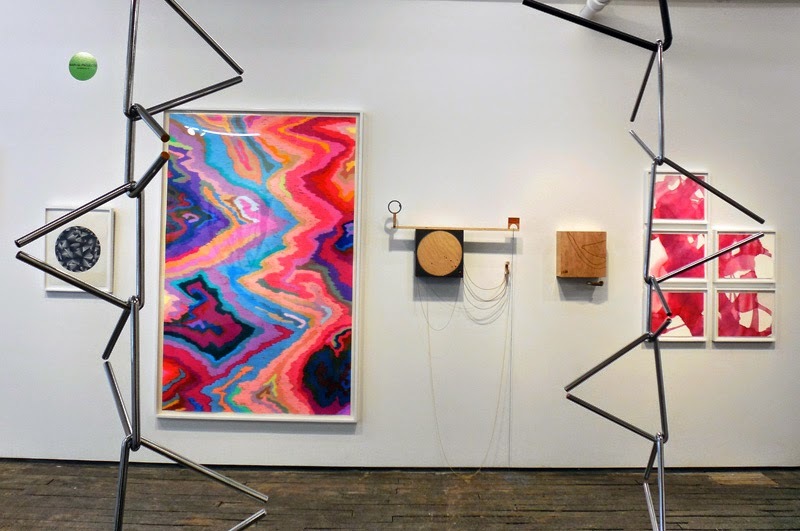 Becky Yazdan, Becca Lowry, Karen Dow in Fred Giampietro’s section. 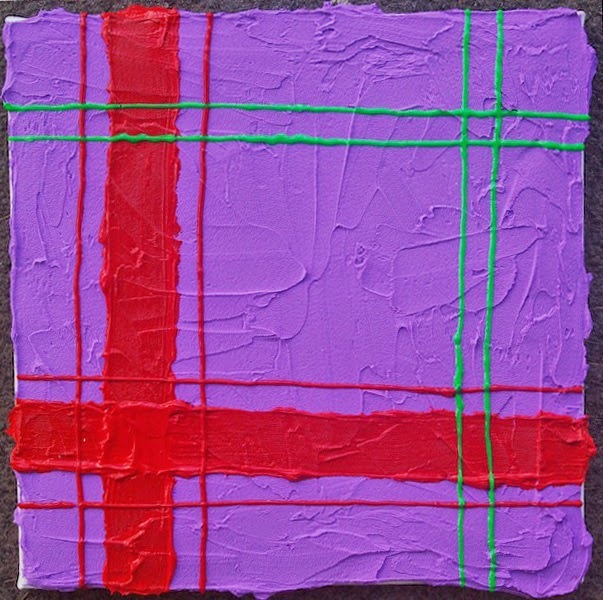 New Haven’s Fred Giampietro Gallery presented the work of three different but quite compatible abstract artists. 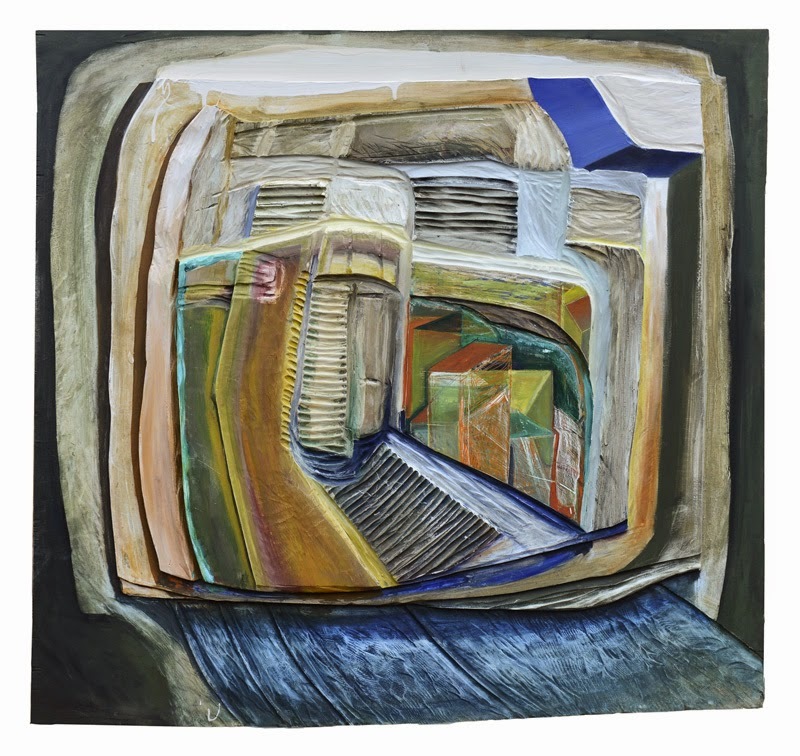 Becky Yazdan’s small paintings have become incrementally more abstract over the four years or so since I first saw her work, but they remain anchored by precise composition, balanced line, and subtle choice of color. 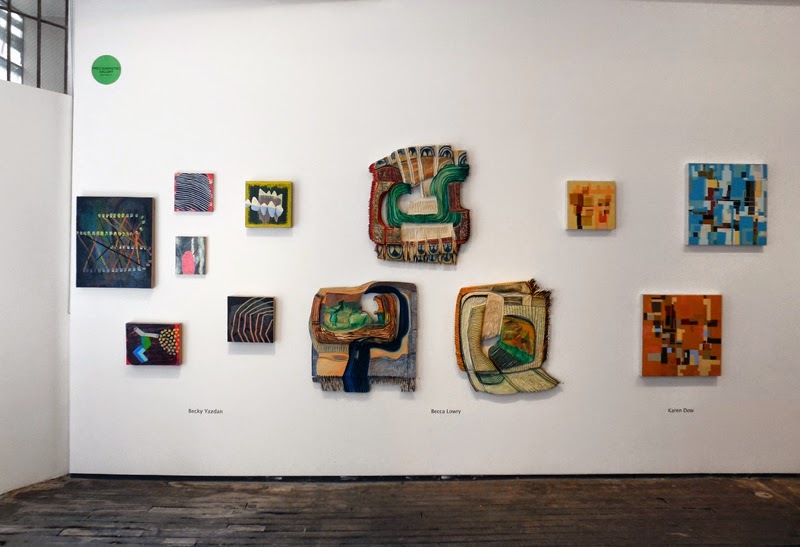 Becca Lowry’s shaped, carved-wood wall sculptures distantly echo Yazdan’s color and line biases, with a folk-art twist, while Karen Dow’s more vividly colored floating rectangles lyrically suggest digital mapping (and, to me, the stylishly kinetic credits of the Bourne movies). 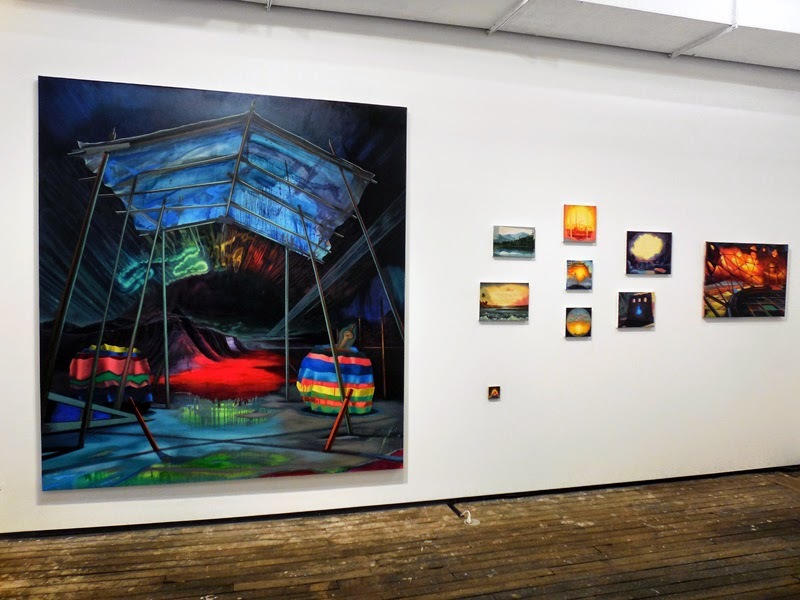 Seductively lilting paintings by Dennis Koch and Debra Scacco, presented by LA-based Marine Projects, suitably feature brighter colors and suggest geological structure. 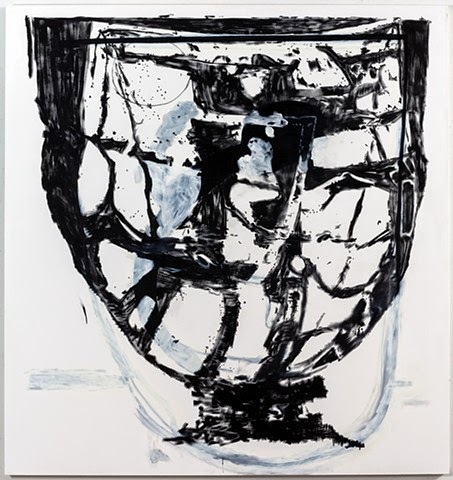 Underdonk, out of Brooklyn, showed several of EJ Hauser’s archly cryptic paintings – perhaps most notably a large-scale and deceptively simple black-and-white still life of a goblet or vase, perhaps ensconcing a figure, that cries out for scrutiny and rewards it. Her book of drawings, some of them studies for the paintings, was a bonus. Dan Perkins’ ostensibly romantic X Marks the Spot, courtesy of Curator’s Office of Washington, DC, conjures American Indian scenes that are ironic in their deliberate naiveté, hinted by out-of-whack perspective. 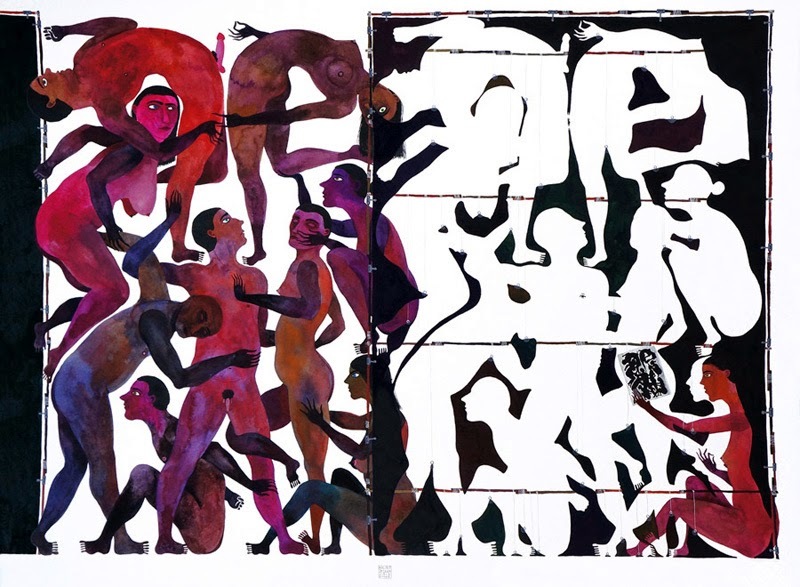 And Balint Zsako’s work from New York’s The Proposition has a hieroglyphic narrative quality. Zürcher Studio itself presented Brian Belott’s hectoring text paintings, which both mock daily life and convey how it mocks us. Zürcher’s cleverly curated mini-fair, however, was anything but a quotidian grind.